Sunamganj Correspondent : A district court awarded death penalty to a woman and her so-called lover for murdering the former son in Jagannathpur upazila of the district. Judge Mohammad Abdullah Al Mamun of additional district and sessions judge’s court of Sunamganj delivered the verdict on Tuesday (April 2). 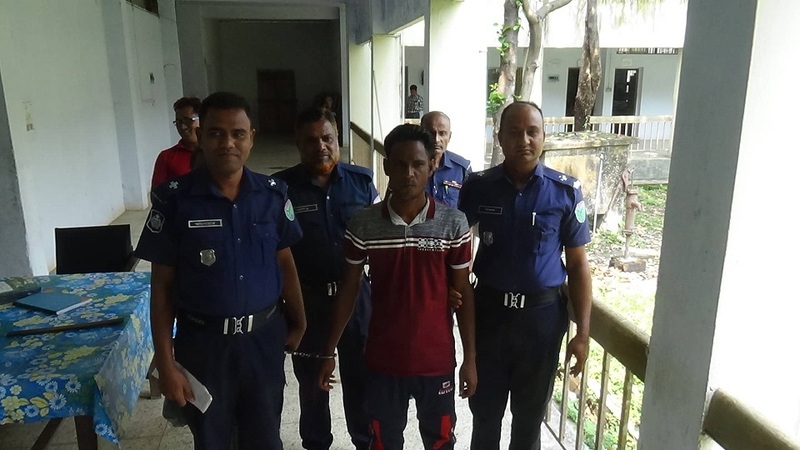 The convicts were identified as Sitara Begum, 37 wife of Saudi Arabia expatriate Rafiqul Islam, hailing from Citulia village under Jagannathpur upazila and her lover Barik Miah, 35, son of Alkas Ali of the same village. According to case statement, Sitara Begum had a long-term extra-marital affair with a villager namely Rafiqul Islam as her husband has been living in Saudi Arabia for long 15 years. On October 14 of 2014, 11-year-old Sowaibur Rahman caught his mother having an intimate relation with Rafiqul Islam. The child threatened to inform it to his father. Later, in the evening of the same day, a local boy persuaded Sowaibur Rahman to go to a nearby place. The mother and the mother’s lover strangled him to death and dumped the body into a local madrasa’s sewage tank. After a long search body was found. On information, police recovered the body. A case was filed against the three persons on October 15. Barik Miah was ordered to be taken to the custody and an arrest warrant was issued against Sitara Begum as she has been on the run.